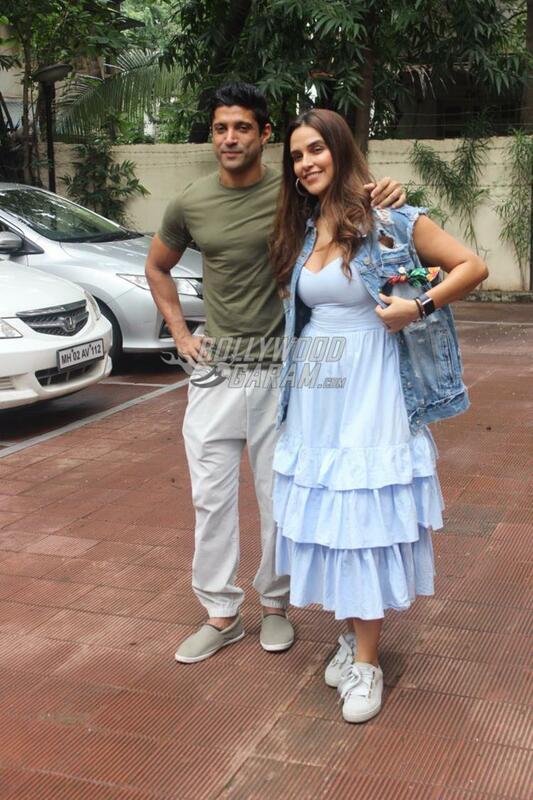 Actors Malaika Arora, Farhan Akhtar and Neha Dhupia were photographed at their respective schedules in Mumbai on August 30, 2017. A stylish Malaika was photographed visiting a friend’s place while Farhan and Neha were clicked together as they shot for her audio celebrity show No Filter Neha. Farhan and Neha were seen posing for the shutterbugs together after they shot for the audio show. Neha looked pretty in a pastel blue outfit with a denim jacket while Farhan was seen in a casual green t-shirt and grey pants. 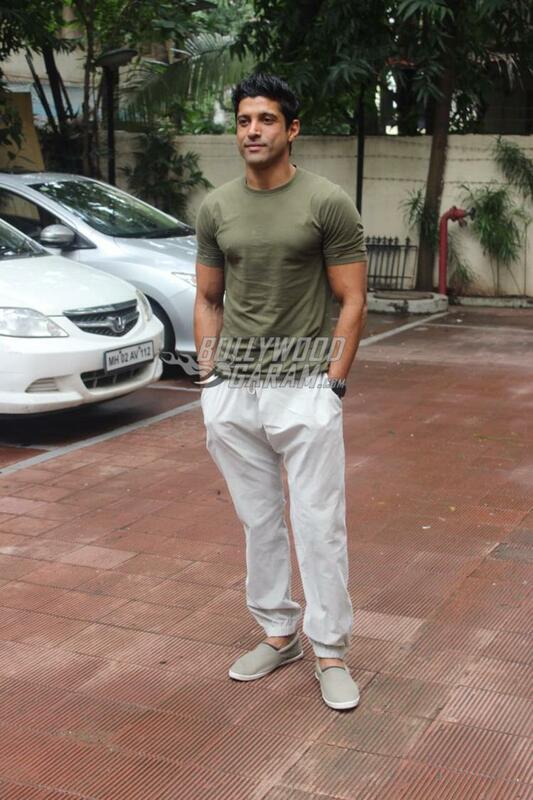 Farhan is currently looking forward towards his upcoming film Lucknow Central.